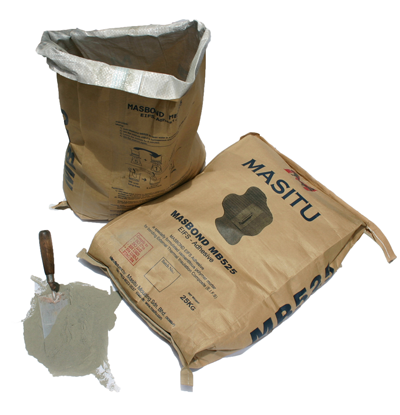 Masbond is cement based adhesive, specifically formulated for Masfoam and EIFS installation. It maintains excellent bonding between EPS foam and the substrate even after decades of weathering. Unlike ordinary cement mortar which does not adhere well to EPS foam. Masbond is delivered in a convenient package. Just add water and it is ready be use. Thus avoiding problem like improper mixing proportion of liquid bonding agent and cement. Masbond has 30 minutes working time, and exhibit good adhesion strength even when it is wet. Estimated consumption of Masbond MB525 is 3 to 5 kg/m2 under normal condition. 6 months in its original packing and store in dry place.